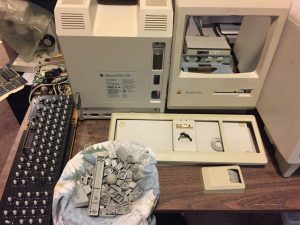 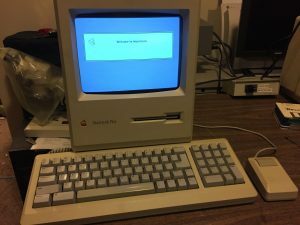 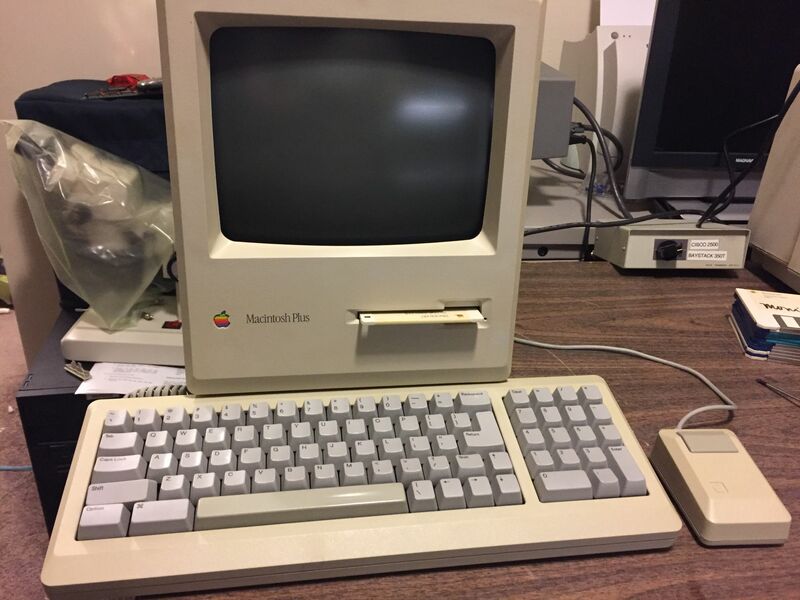 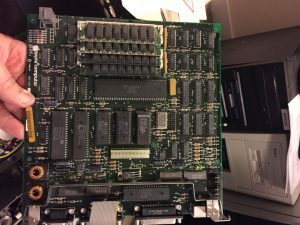 This Macintosh Plus 1MB system is new to our collection. 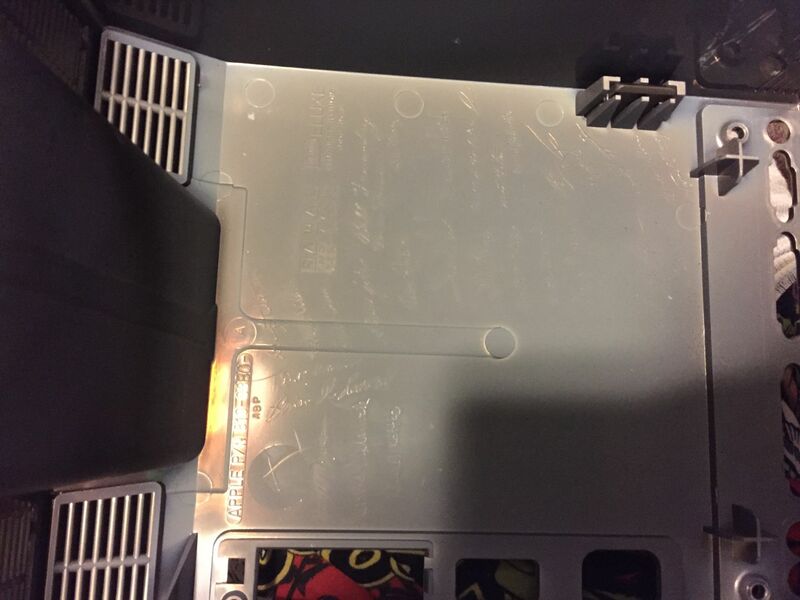 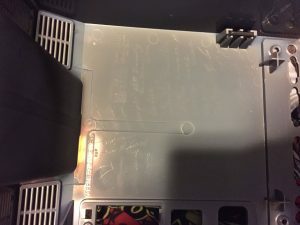 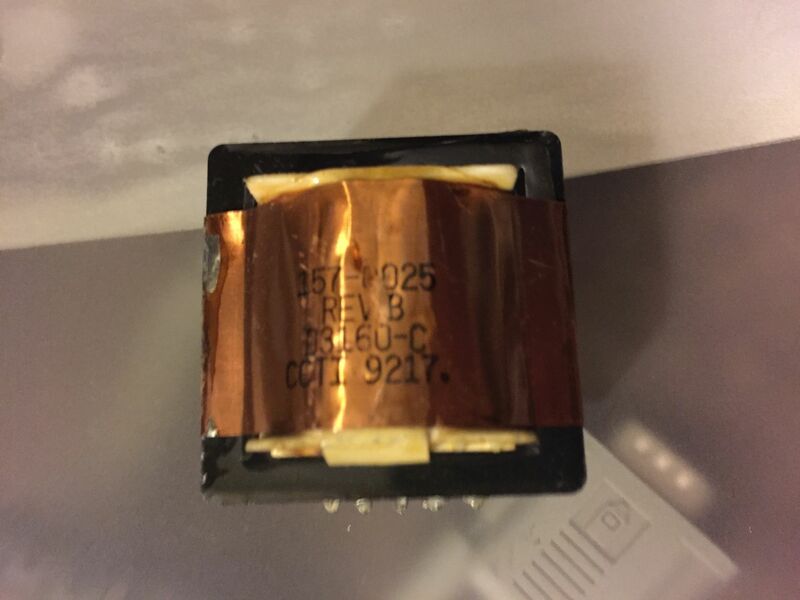 Although it was in working condition prior to shipment, somehow the transformer was completely broken off of the power supply board when we received it. 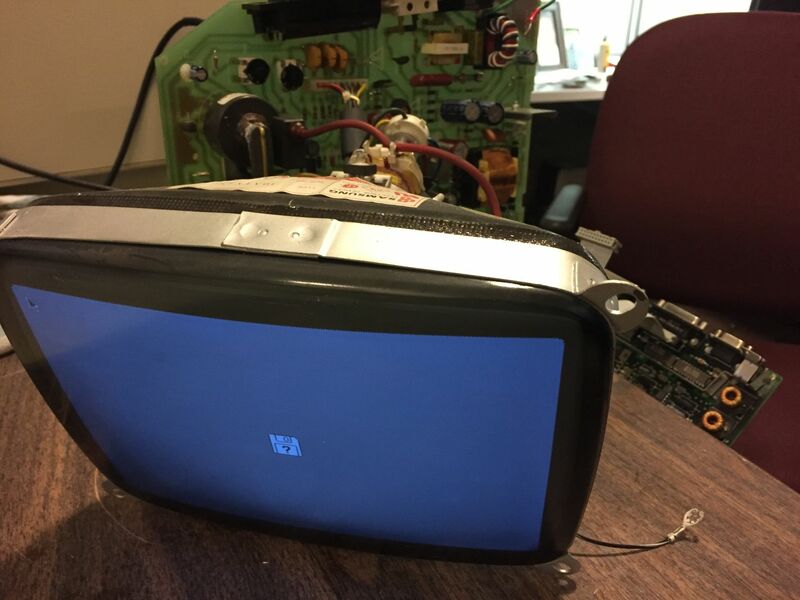 Luckily, no damage was caused to the internal components and we were able to reattach it and the machine is now working perfectly. 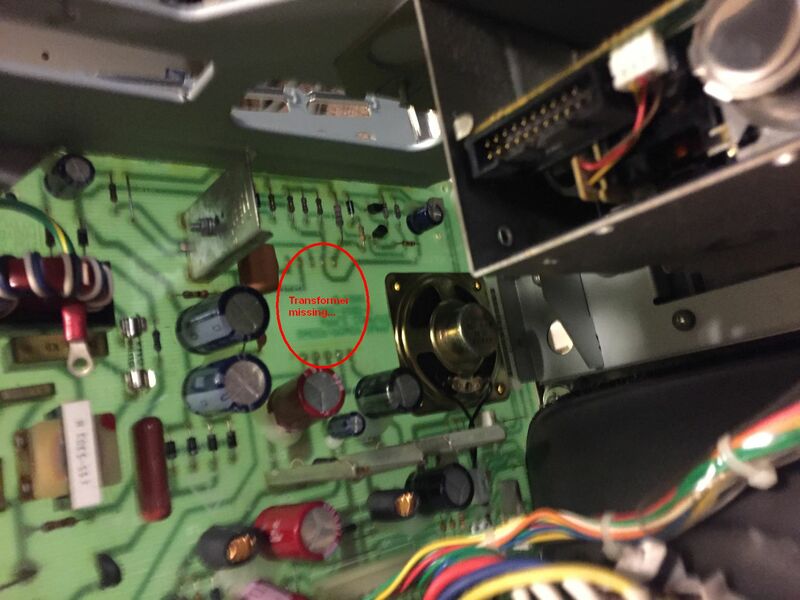 We do have one shift key that has a broken stem that needs replacement.